After having revealed the staff members for the upcoming Arata Kangatari anime at the end of 2012, magazine Weekly Shounen Sunday named also the seiyuu for the show. The information was released with the magazine’s latest issue that came out this Sunday (in Japan). 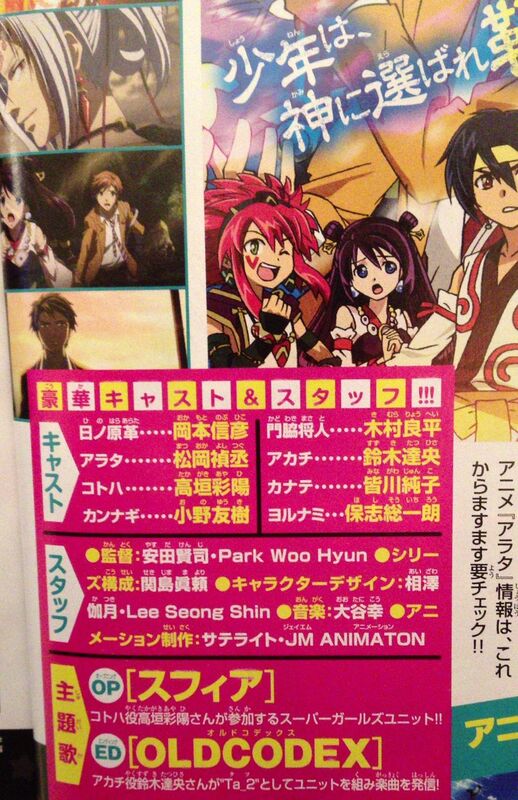 The anime will begin in April 2013. It is about a world in which a princess is chosen each 15 years. This time, though, no girl has been born in the specific period and the one to become the Hime is a boy named Arata! A chain of events leads to a murder, an assassination and a new life for Arata as his head is being hunted by those who believe he murdered the princess. Great cast wasted for a stupid anime.